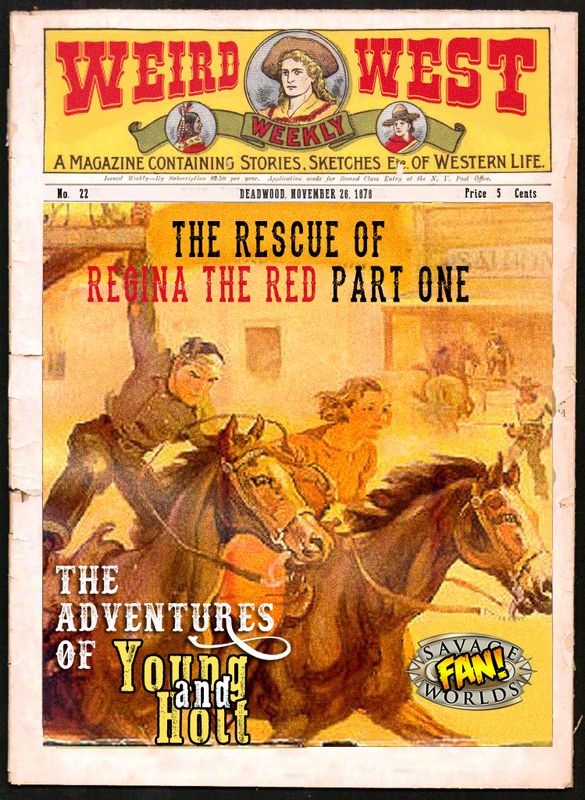 In this issue, Young & Holt, along with Joshua’s old friend, Saul have arrived in Fargo to rescue Regina the Red, who may, or may not have been a paramour of Porter’s. She’s set to be hanged in just a couple of days, but the posse needs to get the lay of land in regards to the situation, and learns that justice may not be done. A new group in an old town. 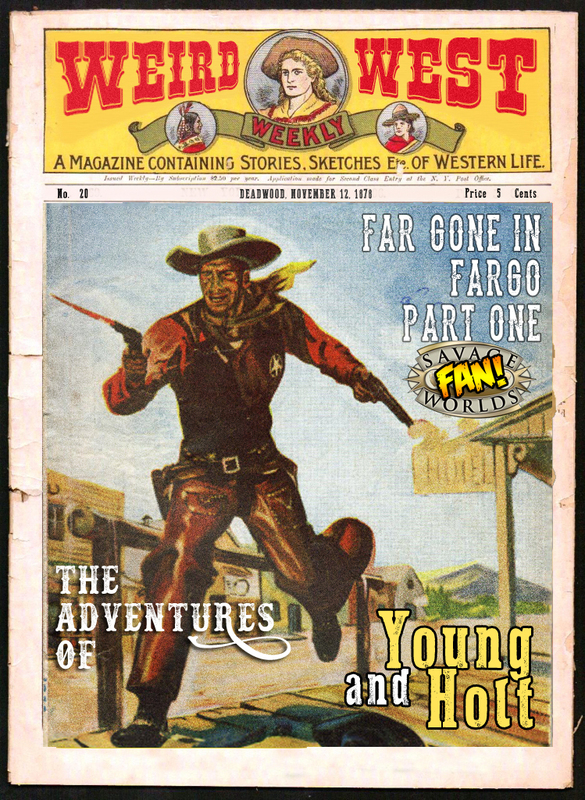 In this issue, Young & Holt, along with Joshua’s old friend, Saul have left the town of Ortonville and made their way to Fargo, hoping to rescue Porter’s friend, Regina, from the hangman’s noose. But first, they need to get the lay of the land a bit, as well as take care of some other business. Before we see where they’re at, a bit of a note. In the interest of keeping the story moving, the basic information our posse knows about Fargo has been moved to end of the issue. It can be found around the 50 minute mark. We at the Epitaph do this because, while helpful, it’s not completely pertinent to what happens in this issue. 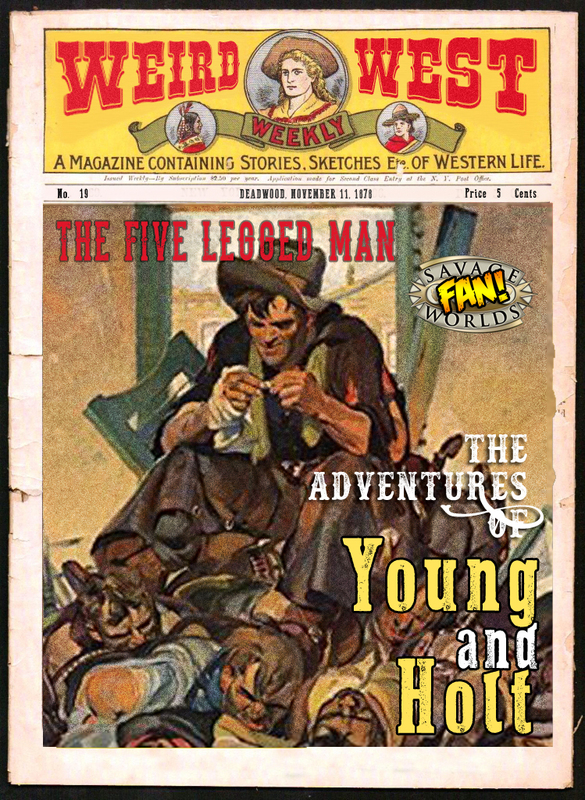 Welcome to Deadlands Dime Novels – the Adventures of Young & Holt, – this here is a special “announcement” issue about our beloved Marshal. It seems our Marshal has taken a new job, mining ghost rock up in the Alaska territory – but rest assured, the Adventures of Young & Holt will continue. 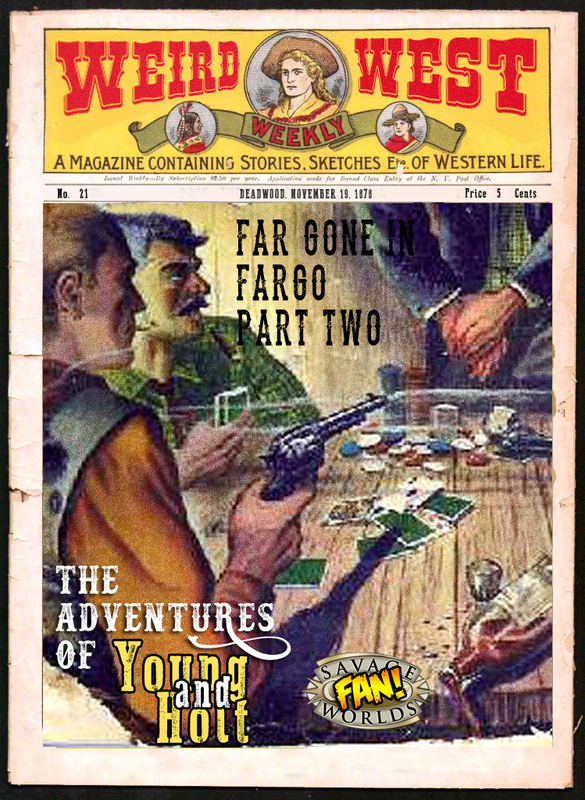 It’s just going to take our beloved Marshal a couple weeks to get his affairs in order, and then he’ll resume publication of the tales of this posse from the Weird West. And he also wants to assure you that with the help of some people familiar with the New Science, that the distance between the Marshal, and our other players will remain nice and close. Thank you for your patience, and we’ll see you sometime in the beginning of September. I’m Ernest Wick for the Tombstone Epitaph. And remember… always be patient with the faults of others, because they may have to be patient… with yours.